The University World News Interviewed Dr. Christoff Pauw and Mr. Richard Batte during the Fourth Biennial Conference in Maputo Mozambique. 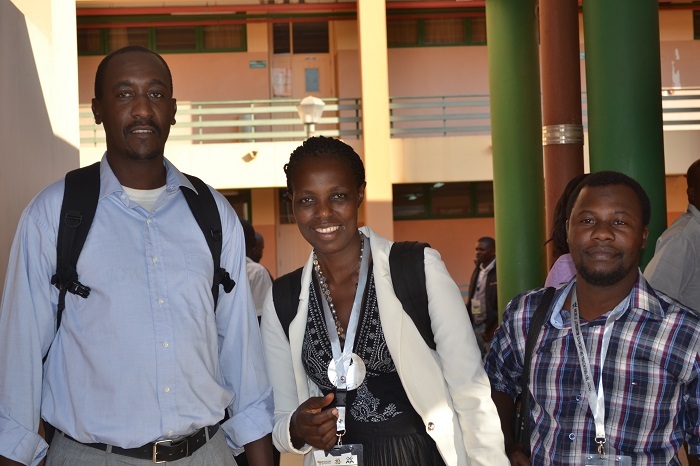 They shared their experiences from implementing Intra-ACP Academic Mobility Projects. The full article is available at The University World News Website. The managers of Africa’s intra-ACP exchange programmes say that organising a large number of mobile students on the continent is a logistical nightmare. Worse, students complain of lack of research funding. Too many factors were not considered when European-funded mobility schemes were conceptualised for implementation in Africa. The intra-ACP academic mobility scheme promotes cooperation between higher education institutions and supports student and staff mobility in Africa, the Caribbean and the Pacific. It aims to increase access to quality education that will enable ACP students to undertake postgraduate studies, and to promote student retention in the region and mobility of staff while also strengthening institutions. But managers in Africa told participants at the 4th Regional Universities Forum for Capacity Building in Agriculture – RUFORUM – held from 19-25 July in the Mozambique capital Maputo, that while the monthly stipends students received were sufficient, many other aspects – including organisational support – were under-budgeted. There are 15 mobility programmes currently running across Africa. They support African students to study at African universities outside their home country. Stellenbosch University in South Africa coordinates Transdisciplinary Training for Resource Efficiency and Climate Change Adaptation in Africa, or TRECCAfrica. 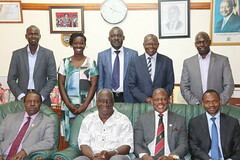 It is also involved in other schemes including Share Capacity to Build Capacity for Quality Graduate Training in Agriculture in African Universities, or SHARE, coordinated by Uganda’s Makerere University. Dr Christoff Pauw, international academic networks manager at Stellenbosch University, said there were numerous problems associated with implementing TRECCAfrica. The initiative’s goal is to prepare the next generation of academics and professionals who will be able to address an interconnecting set of challenges for Africa’s future development in climate change and resource depletion. It provides masters and PhD training of 80 African students at six leading African universities. The scheme aims to instil competency in trans-disciplinary research methodologies and let involved students generate policy-relevant research that tracks resource flows, prices and the use of these resources and flows of resource rents. Pauw said flaws in the feasibility study for intra-ACP contributed to the challenges of administration of the schemes. Tuition fees for international students were very high in some institutions, and so were travel costs. Time to arrange and align institutional processes needed more planning before first mobilities commenced. “We had to find an insurance provider from Europe as none from Africa could meet the minimum requirements set by the funder,” Pauw told University World News. The contract regulations prohibited collaboration innovation by not allowing students to spend research time at their home institutions. Different institutions had separate admissions requirements so acceptance of students from other parts of Africa took a long time. Pauw said student exchange programmes in Africa were not a well-developed model due to the costs of travel. Universities had little experience in moving students, finding accommodation and providing proper orientation. In the absence of harmonised curricula, credit transfer was problematic. Managers also had to deal with weak international offices. Pauw acknowledged efficient assistance from the Education, Audiovisual and Culture Executive Agency – the management arm of the EU’s programmes – and the fact that the scheme offered an opportunity for African universities to develop experience in mobility. But almost non-existent financial support for organising mobility meant an important opportunity for institutional capacity strengthening was lost. He said a heavy administrative load was placed on funded partners. “There was so much to do and the zest to network and develop an academic community fades,” he said. Students’ research plans constantly need updating to fit budget constraints, and limits to field work at home. Richard Batte, coordinator of SHARE at Makerere University, articulated similar concerns. SHARE supports staff and student exchange in various disciplines of agriculture to attain masters and doctorates. Batte said all host institutions were keen to handle the allocation of the organisational costs, which amount to €15,000 per institution. This paid for administration of the programme, steering committee meetings, advertising and carrying out the selections. But before the money was disbursed there was a need for joint budgeting and consensus and discussions on costs for the secretariat and for partners’ meetings. “One of our problems is that the travel budget for students is based on travel and one return ticket per student and the actual costs may be more than the budget,” said Batte. Airlines do not want to keep a ticket open for more than one year, which implies two one-way tickets as one ticket for a PhD of three years was not realistic, and rescheduling and cancellation of tickets have costs. “While visas look obvious they can be complicated. Some students have to travel to another African country to get a visa for another country, for example Ethiopia,” he said. Plans to monitor academic quality and the quality of the mobility services provided by each host institution also had a cost, and there was no budget provision for producing a student handbook and handling language issues. Batte said that coordinating SHARE had taught that compliance with regulations was critical for the scheme’s success. There must be transparency in all operations and the disbursement of remuneration and documentation should always be available for audits and reference. However, sustainability remains an issue. “No money is ever enough for graduate training. Africa-led initiatives are needed to supplement development aid,” said Batte. Europe’s ACP scheme builds on the African Union’s Mwalimu Nyerere exchange initiative, granting additional funding and setting up a similar scheme for the Caribbean and Pacific regions. Pauw said that whereas the Erasmus programme spearheaded Europe’s international higher education space, the Nyerere scheme must be shaped with local conditions in mind if it is to do for Africa what Erasmus did for Europe. The size of Africa and costs and logistics of travel were enormous, and governments in Africa were yet to support higher education and science and technology sufficiently. “Internationalisation in Africa is still mainly North-South and study abroad still mostly means incoming, fee paying students. What we need is movement among our universities and the intra-ACP scheme is an important step in this direction,” he said. Pauw said the scheme required gradual change, not an instant plan. The administrative load on academics needed to be spread to international postgraduate offices, which required more human resources. He suggested smaller, focused thematic groups of four to five universities to be involved in one mobility scheme. Mobility must be simplified and tied into a longer education pipeline. This would be in the form of a full-degree postgraduate scholarship that covers actual tuition costs with partial research funds for PhDs. The scheme should have an in-built mobility component where a student visits the home university or a third university in Africa or abroad for a semester or two. Pauw said students must be empowered to be future co-supervisors and collaborators. Currently students were severely hampered by the limitations of the programme, he said. Graduate support structures with a group study model that included administrative capacity support for the international office must be incorporated. Mobility schemes should work with regional economic communities and national governments, not only the African Union Commission. “We want everyone to adopt the ‘Nyerere students’ as their own,” Pauw said.